I was a little unsure about requesting this book because it’s based on a field that I know nothing about; rare book collecting, inscriptions, and forgery. It caught my eye anyway because it’s full of mystery and suspense. Two things I like to read. Honestly, you don’t have to know anything about the rare book collecting community to understand what was going on because it’s essentially about a murder. Who killed Adam Diehl? Who would want to kill a man who kept to himself and his books? Adam’s sister Meghan was distraught, as he was her only family. She tries to pick up the pieces and come to terms with her brother’s death, but finds it difficult since the police can’t determine who did it. The story is told in the perspective of Will, Meghan’s long time boyfriend. He is a man of many secrets. Secrets of his and that of Adam’s. He knows what Adam was up to before he died…or so he thinks. Will is also the kind of man that’s a bit full of himself and his abilities. He believes that he’s the best forger out there. Perhaps he is, but much of what he says about his work is very egotistical. When Will starts being blackmailed he knows that someone from his past has emerged once again. It was the same person who sold him out to the police about his forgery and dragged his name in the dirt of the book collecting industry. Will does everything he can to safeguard his future with Meghan and tries to stay one step ahead of this ghost from the past. You don’t find out the true killer until the very end and you’re kind of left a bit shocked by it, but then you can see why this person had the motive to do it. Overall, I couldn’t put the book down and wanted to find out what happened next. When I finished the book it was like I didn’t want the story to end. I feel like this book can easily have a sequel to it and I would definitely read it. This is the second book I read and reviewed for #NetGalleyMonth! 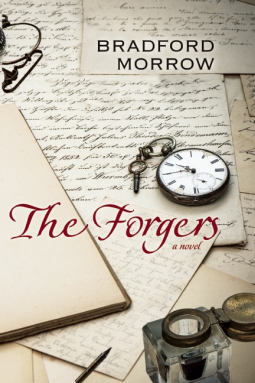 Look out for my next book review on The Forgers by Bradford Morrow. This will be the second book review for #NetGalleyMonth, running from September 1-30. Thank you to Grove Atlantic publishing for allowing me to read a copy of this book. 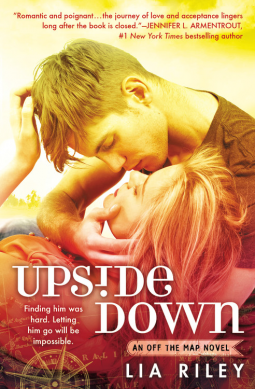 Upside Down is the first in Lia Riley’s Off The Map series. It follows the relationship of Natalia (Talia) Stolfi, a girl from Santa Cruz, California and Brandon (Bran) Lockhart, an Australian young man she meets during her study abroad program. The past year had been difficult for Talia and she didn’t know how to deal with the death of her sister. A study abroad program to Australia was just what she felt she needed. It would give her time away from the painful memories that consumed her and the life she felt was falling apart. Bran comes from a wealthy family, but his life is anything but perfect. As he runs from his past, he meets Talia, but finds that his feelings for her, brought his inner demons to the service. While he’s trying to deal with his issues, he hurts Talia along the way…more than once. Both are trying to forget the past and start something new, but it’s the past that keeps coming between them. 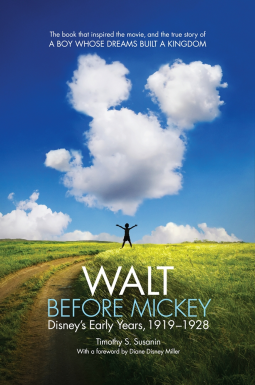 I thought this was a great book! As you read, you’re constantly wanting Talia and Bran to finally say they’re together, but too much gets in the way. After Tailia’s sister dies, her OCD intensified, but spending time with Bran it’s not as apparent. She realizes that she can be more open with Bran than anyone else in her life, including her parents and friends. Not to mention he’s a hot Australian. I was trying to imagine what his accent might have sounded like while I was reading the book. Talia might have been a little dramatic at times, but I think part of it was her OCD and the other was her inexperience with men. Bran on the other hand is, internally, dealing with a previous relationship that ended badly. He was in love with this other girl and doesn’t want to feel that same hurt with Talia. That’s why he keeps just enough distance between them, even though he has completely fallen for her. They both open up about things that lifts weight off their shoulders and in doing so they allow their relationship to grow. They just never solidify their relationship throughout this first book and Talia’s impending departure from Australia makes defining their relationship even more difficult. The more intimate parts in the book are not over-done and cheesy. It was tastefully done and it didn’t overpower the entire story. Overall, I would definitely recommend this book and I’m excited to read the next book in the Off The Map series. If you’ve read this book, let me know what you think. This was the first book I read and reviewed for #NetGalleyMonth! This is the first book I finished reading as part of Net Galley Month. It was released on August 5, 2014 and is a part of Lia Riley’s Off The Map series. Review coming soon. Thank you to Forever (Grand Central Publishing) for allowing me to read a copy of this book. Net Galley Month Is Here! 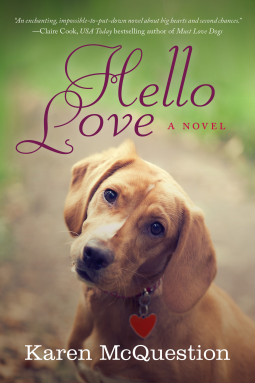 I’m so excited that I will be participating in Net Galley Month! And it starts today! If you aren’t familiar with Net Galley (I know I’ve mentioned it several times) it’s a site dedicated to bringing publishers and professional readers together. As a professional reader, you request books you’re interested in and the publishers will either approve or decline your request. If you’re approved for a book, you get to read a copy for free and review it. Net Galley Month is about professional readers reading and reviewing as many of their approved books as they can. The more we review the higher our approval percentage will be. Right now, mine is at 5%. 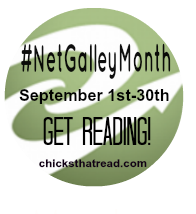 NetGalley Month was created by the blog Chicks That Read. And I must say that this is such a great idea! You might see some of the book reviews a little later depending on the release date. From September 24-October 3, I will be on vacation, but the majority of the time will be spent laying out on a beach. An ideal spot for reading! So I will be able to put a good dent in my Net Galley reading list. Are you going to participate in #NetGalleyMonth?